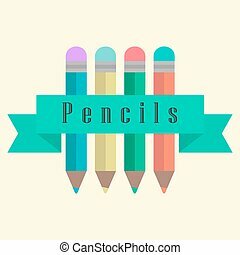 Pencils and pens with ribbon. 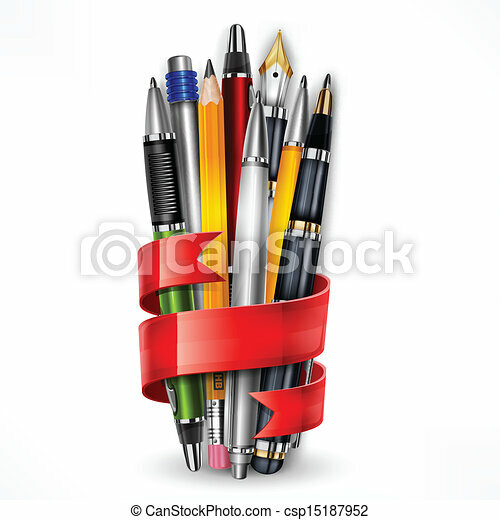 Pens and pencils tied with red ribbon on white, vector illustration. 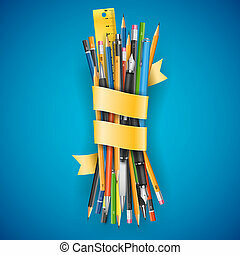 Colorful batch of pencils and pens with ribbon for your text, vector illustration on blue background. 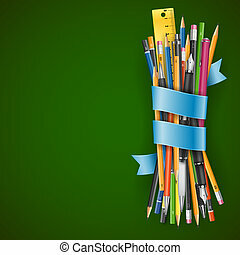 Colorful batch of pencils and pens with ribbon and place for your text, vector illustration on green board background. 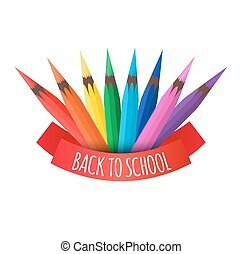 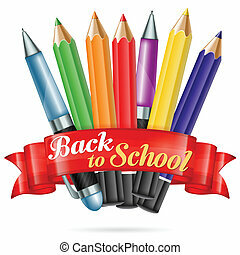 Colored Pencils and Pens with Ribbon and text Back to School, vector isolated on white background. 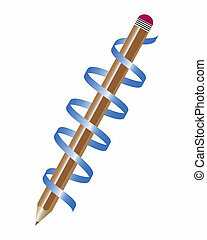 Easy to change color. 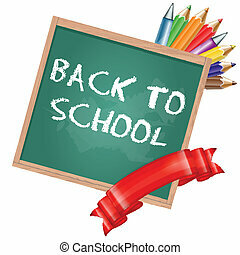 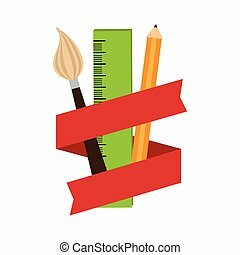 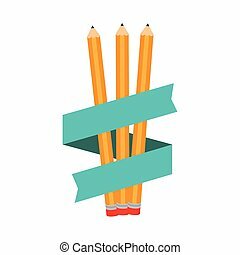 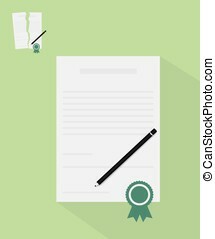 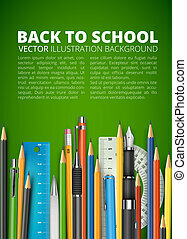 Back to School Concept - Colored Pencils and Pens with Ribbon and School board, vector isolated on white background. 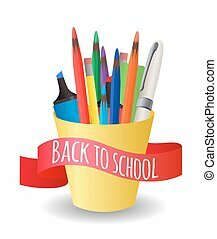 Easy to change color.